Skin Therapies, Inc. is a Skin Care Rejuvenation and Acne Skin Center and Spa for men and women specializing in Clinical skin care (acne, hyperpigmentation and anti-aging). We have been serving the community of Orange County nearly a decade by providing a calming, private and relaxing environment to treat your skin and body. Our spa reflects the essence of personalization for a healthier skin. Mirna Faranda, a Certified Para-Medical Esthetician with amassed years of clinical skin care experience, established Skin Therapies, Inc. after personal growth and exceptional training, having started her career in the medical field, working for a renowned cosmetic plastic surgeon and dermatologist in Southern California, and completing multiple certifications with highly regarded skin care lines. Helping others feel better about their skin, making a significant difference in improving those who suffer from severe acne, and witnessing the results is the mission of Skin Therapies, Inc. We listen to our client needs, while rendering our professional and educated opinion; to recommend to a full treatment plan to remedy their skin concerns. Mirna’s motto is customization! In her own words- ‘Even the same client at different time of the year needs a different treatment or product because of body, skin and seasonal changes’. We operate under the belief the best compliment we can received from our loyal clients are referrals. 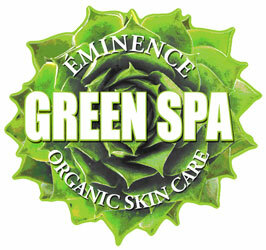 Skin Therapies, Inc. was recognized in 2008 as an Eminence Organic Green Spa. Welcome to our Spa. You will be pleased! ¡Bienvenidos a nuestro Spa!